XLS file repair tool is a simplified software to fix corrupted or damaged .xls files. It restores everything from the processed file and provides functionality to save a healthy Excel file. The product embraces an absolutely unique set of capabilities to repair and recover corrupted Excel file. 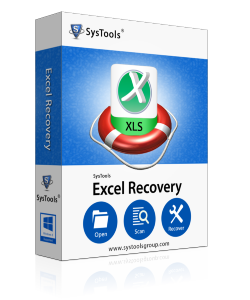 XLS repair software benefits users with an easy and effective approach to deal with damaged Excel file. It is just a 4-step solution to resolve all errors, which occurs at the time of opening a corrupted MS Office spreadsheet. 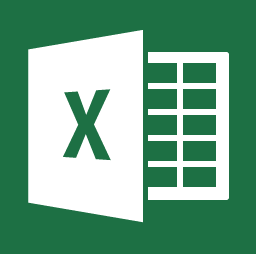 MS Excel repair tool will convert the inaccessible document into the accessible one. Restored data will be appended with original text, merged cells, number of rows and columns. Errors like XLS file not opening, Excel doc. is not valid, unable to open Excel sheet, Excel file not opening on double click in 2003, excel cannot open the file because the extension is invalid, etc., will definitely get troubleshooted with help of this measure. The application permits users to minimize their hassle when they have to deal with corrupted or damaged Excel files. 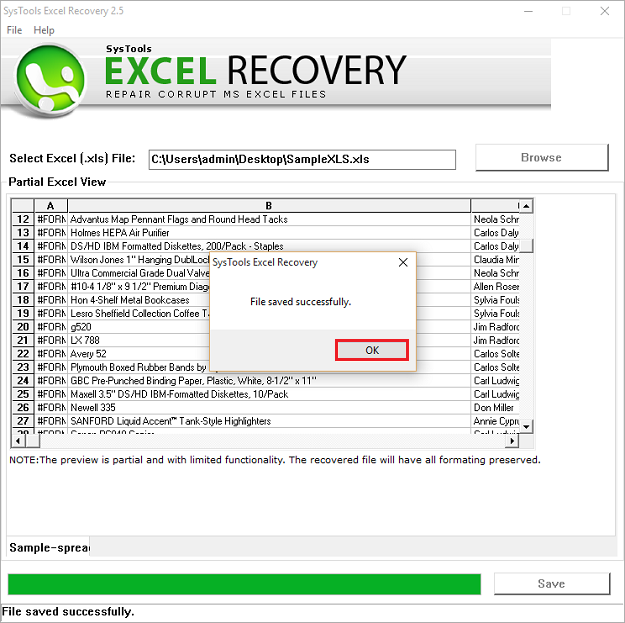 Excel recovery software makes the damaged .xls file usable and making file again accessible for usage. Microsoft Office Excel repair software is equipped with algorithms, which repair every single items from the file without any hassle. It restores user’s created table from the processed Excel file in no time. XLS Repair product features a standard form of explorer-styled user interface making file browsing and navigation a cinch. Via easy step-by-step panel, it becomes an easy way to carry out file repairing task. The software provides a convenience of previewing data, comprising of spreadsheet objects in the core interface. Users can take complete advantage of this functionality to verify Excel data before further recovery process. Excel file repair software fixes all the errors, which are originated due to corrupt excel spreadsheet. The error could be any like Excel cannot open file abx.xls, un-recognizable format, XLS document not detected, etc. The recovery application is rendering a very useful feature of saving repaired file at any customized PC path. Users can choose any path on their machine and save a healthy Excel .xls file on the desired location. Trial Version of free spreadsheet recovery tool only previews the recovered data. Get Demo of Excel File Repair Tool Immediately for Free!!!! The document cannot be saved. 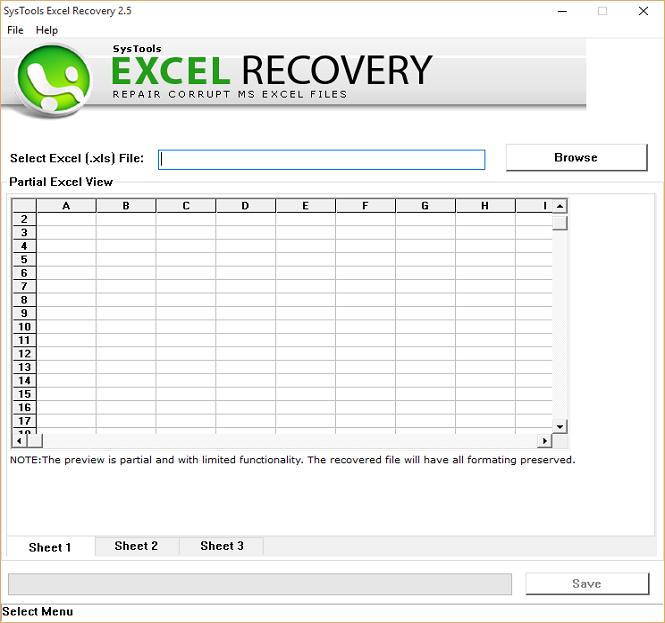 How to restore corrupted spreadsheet file with this Excel repair software? 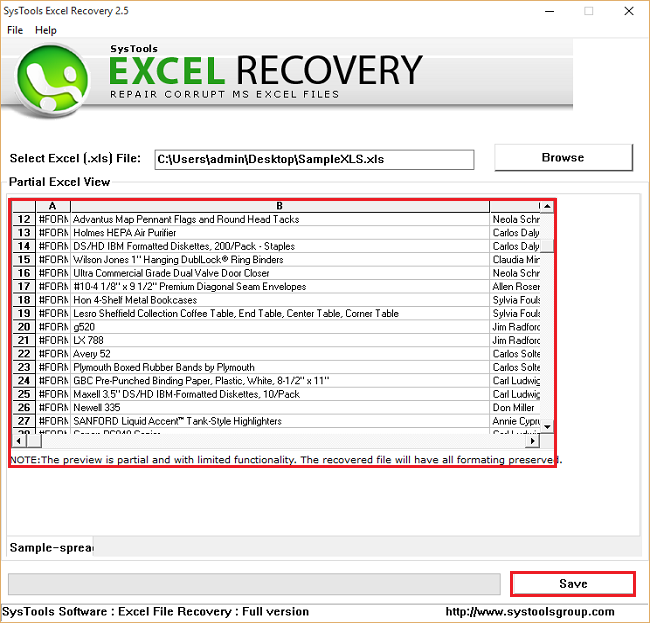 Download Excel file Recovery Tool and open it. Click on Browse to add corrupted XLS file. After scan completes, click on ‘Export’ button to save reocovered data. Will your application fix Microsoft Excel error code 0x800A03EC? Yes, the XLS file repair software is programmed in such a smart way that it will easily fix all errors related to Excel file. Is there any file size limitation of corrupt Spreadsheet document, which is defined in this product? No, there is no Excel file size limit appended in this Excel file recovery software. You can browse .xls file of any size without any thinking about .xls size concern. What all technical skills are required to work with this utility? No technical or expertise level knowledge is needed to work with the app. The program is developed and designed with a simple and user-friendly interface, which assists you as you proceed further. Does your software repairs multiple corrupted XLS file? No, at one time, you will be able to fix only one Excel file with our Excel recovery tool. How much is consumed by your application to fix XLS file of size 6.05MB? The estimated time consumed by the product is dependent upon few technical factors like file size, system configuration, etc. Can I use a free edition of Microsoft Office Excel repair software to test the application before purchase? Yes, you can download demoware of our software to test it. Once you find it worth for you, you can purchase it and freely use for your purpose.